A charming rhyming tale of friendship & sharing! 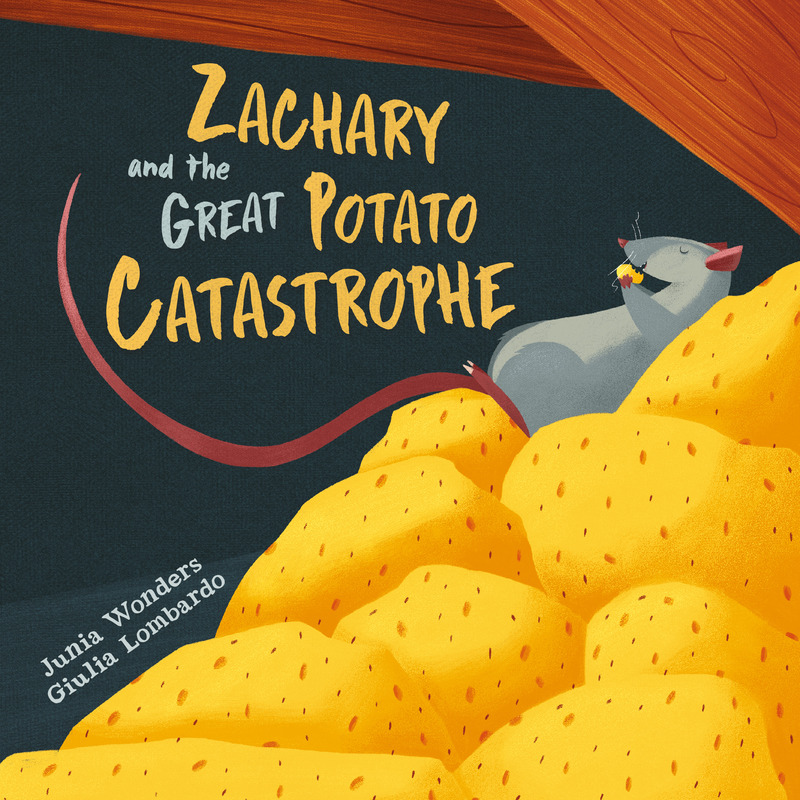 Under the floorboards of a small bakery lives a clever little rat by the name of Zachary. One fateful night, a sackful of potatoes appears. Will Zachary be able to resist such a delectable treat? With beautifully drawn illustrations by Italian illustrator and artist, Giulia Lombardo, this children’s rhyming picture book, along with its witty and engaging story line, will surely appeal to its young readers and become one of those books that will be read and enjoyed time and time again. A fun, rhyming read-aloud with gorgeous illustrations! Readers from 3 years and up will delight in this delicious and amusing tale. A delightful and hilarious children’s rhyming picture book for early and beginner readers. Written in verse with a rhythmic cadence to capture young listeners’ attention and give early readers confidence. Beautifully illustrated with an exquisite palette and remarkable compositions, brimming with expression and humor small children love. A charming little story that teaches the joy of sharing. Entertaining: The book is full of funny situations that are sure to elicit plenty of giggles from its young readers. “Written in rhyme and sprinkled liberally with humour, Zachary and the Great Potato Catastrophe is a charming and quirky tale that’s great for reading aloud. Guilia Lombardo’s original illustrations really bring the characters to life, both human and animal. I particularly like one of Zachary’s twisty-whiskered pals! And there’s a delightful ending that shows that life is indeed sweeter when you share your good fortune with your chums.” –Nick Jones, Author, Full Media Ltd. Excellent book for children. Amazing pictures. “This was an excellent book for children. The pictures were great and the short story also rhymed. Try it out. Children who have started reading will love it.